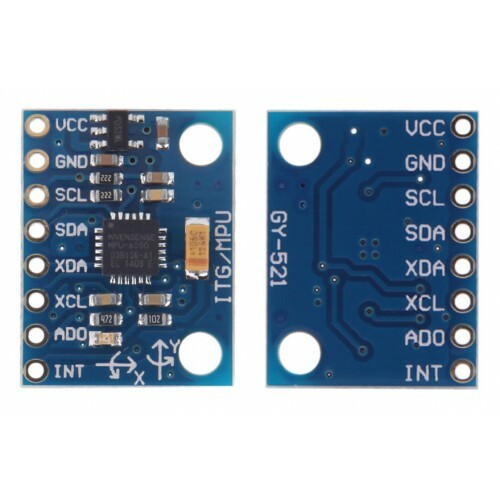 Buy online GY-521 Three Axis Gyro & Accelerometer MPU-6050 module in India at low price from DNA Technology, Nashik. The GY-521 Three Axis Gyroscope & Accelerometer Module based on MPU6050 Sensor is a serious little piece of motion processing technology! 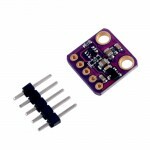 By combining a 3-axis gyroscope and a 3-axis accelerometer on the same silicon die together with an onboard Digital Motion Processor™ (DMP™) capable of processing complex 9-axis Motion Fusion algorithms, the MPU-6050 Sensor does away with the cross-axis alignment problems that can creep up on discrete parts. This is a neat little breakout board for the MPU-6050 with a on-board Voltage regulator so it can be used with 5 volt supply. 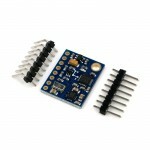 The MPU-6050 is a high precision piece of motion processing tech. MPU-6050 does away with the cross-axis alignment problems that can creep up on discrete parts. Auxiliary master I2C bus which allows the MPU-6050 to access external magnetometers and other sensors. 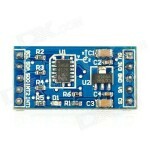 ADXL345 Digital Accelerometer Sensor Module3-axis MEMS accelerometer modules with both I2C and SPI i..
GY-9960 Gesture Sensor ModuleThis is the Gesture Sensor, a small breakout board with a built in APDS..
GY-271 Electronic Compass ModuleGY-271 Compass Module is designed for low-field magnetic sensin..
GY-273 HMC5883L Magnetometer CompassThe GY-273 module is based on the Honeywell HMC5883L IC for low-..
GY-87 10 DOF SensorGY-87 is a great board if you want to get readings from a Gyroscope Sensor, Accel..